incl. transformation and shooting function. Price is 43% below the initial Playmobil retail price, a € 7.74 discount! 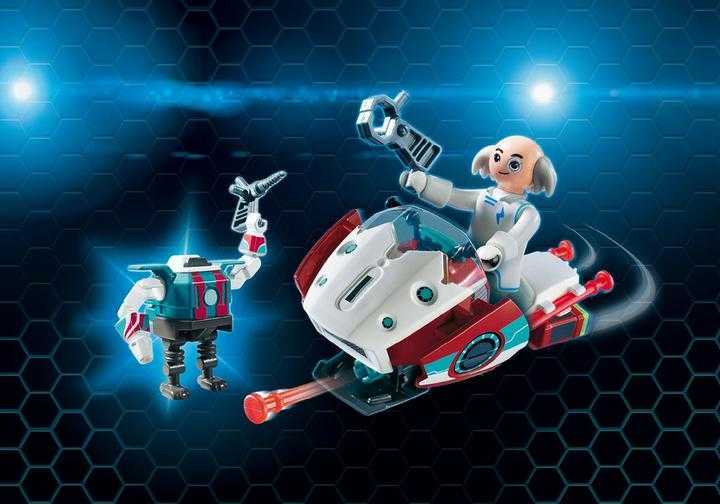 The Skyjet with Dr. X & Robot (9003) Playmobil set is available from the sites below. However, they do not offer delivery to your selected region. The Skyjet with Dr. X & Robot (9003) Playmobil set is no longer directly available from the sites below. However, 3rd party partners of these sites might still have the set available.